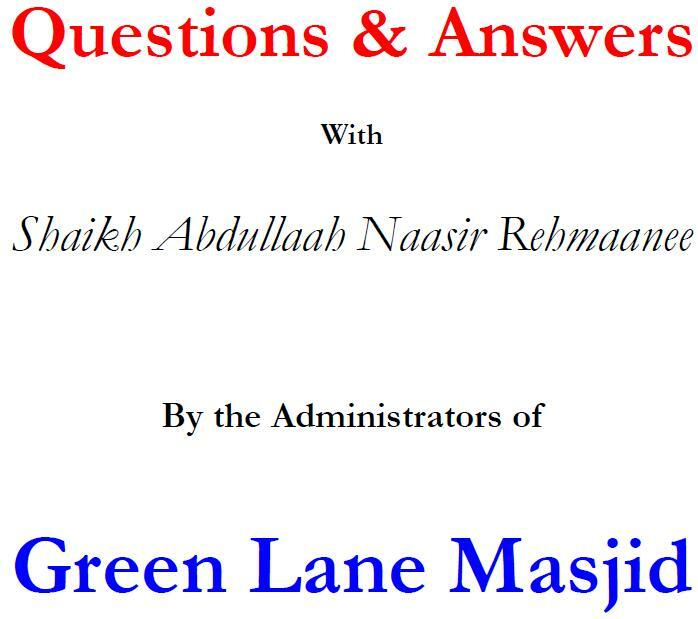 Fadheelatush Shaikh Abdullaah Naasir Rehmaanee’s Clarification pertaining to Green Lane Masjid, its trustees, its conference, al-Maghrib, al-Kauthar and on Tawfique Choudhary. Let this also be a reminder to those “BROTHERS” who have been sending out emails and formulating all kinds of conjectures and bad thoughts. These questions were posed by GLM, so read them and be just to your own nafs first.